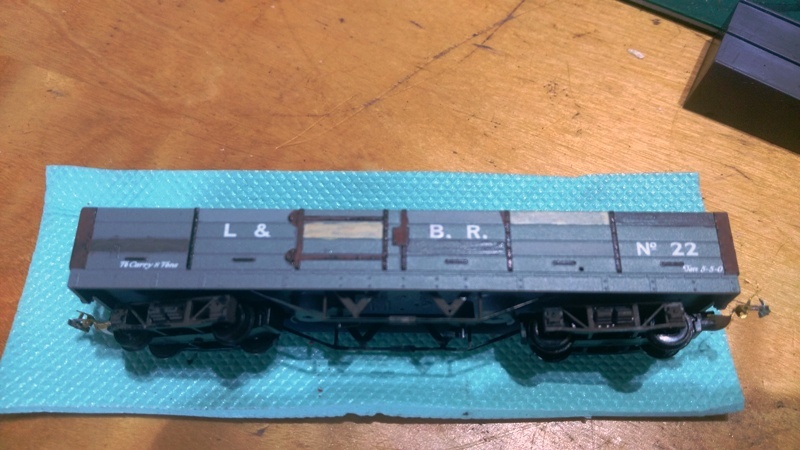 This is a second go at weathering the first at trying to photograph the process not sure which is harder. As I am unsure as to the number of photos I can load up I will show these as a number of post replies hope that is OK. 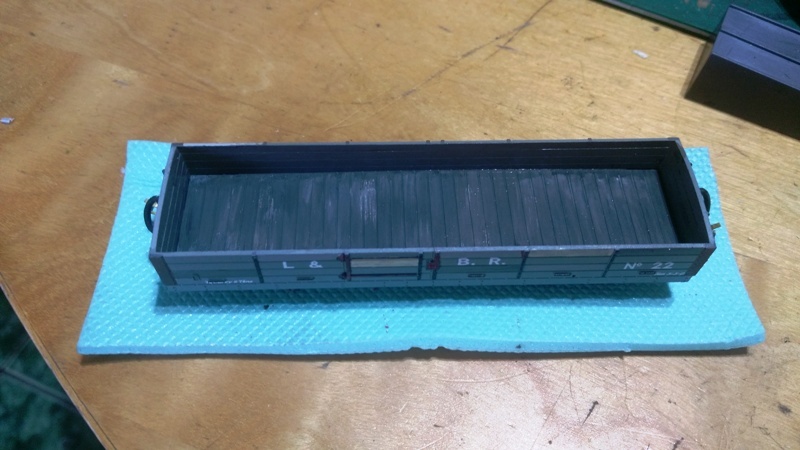 The first stage is to paint some planks in different shades of the base colour in this case its a 009 wagon. This can look very garish but one must not be put off this will tone down. The inside is painted shades of dark grey in the direction of the planks. 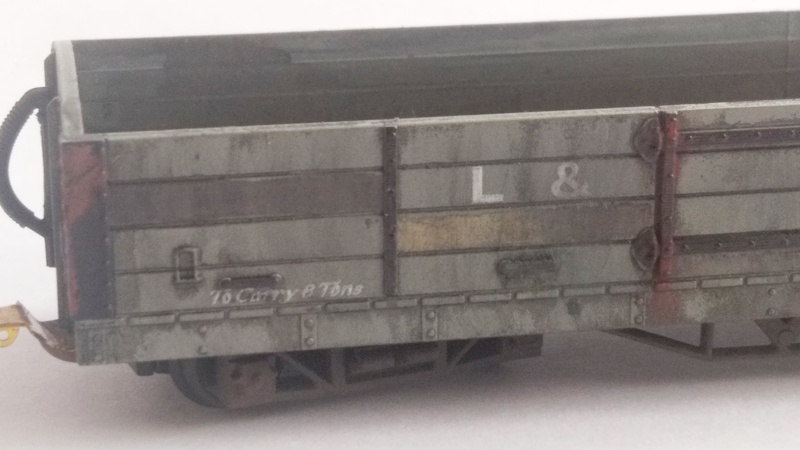 The corner metal straps are also painted in shades of dark rust. 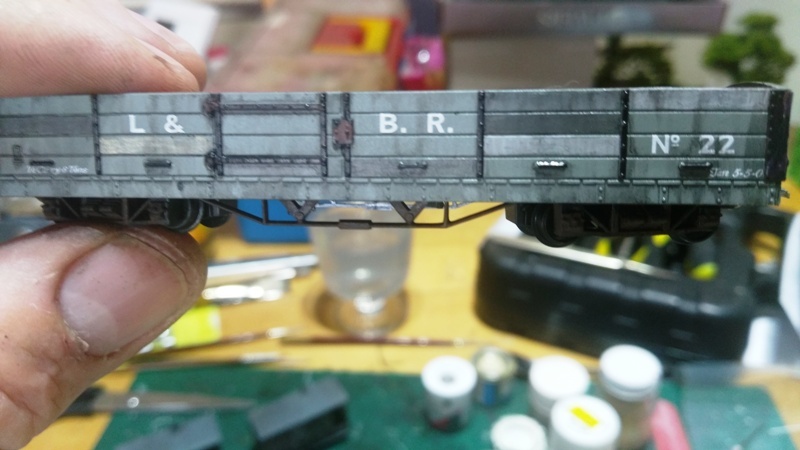 The second step is to paint a dark wash over the whole wagon. I use water based acrylic paint for this well watered down.When it is almost dry I wipe off using vertical strokes and a cotton bud. It is usually necessary to repeat this process until the desired result is achieved. The planking colours should now be blending together. 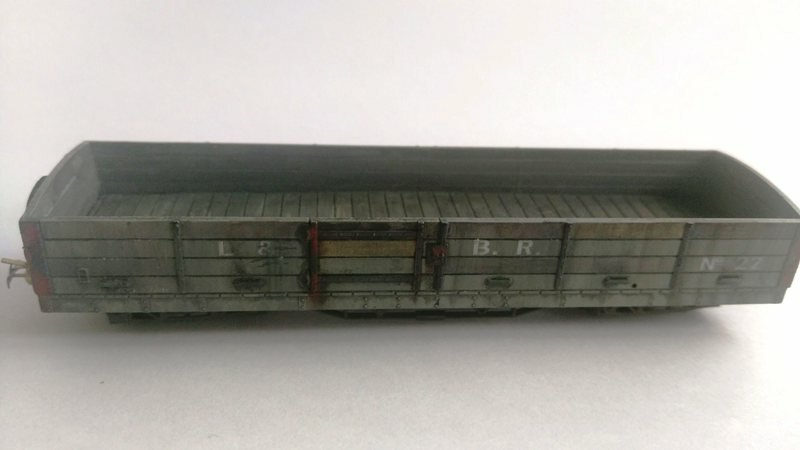 To finish the job I use some weathering powders to further blend the planking with the masking removed a little rust powder is also added to the strapping and hinges. 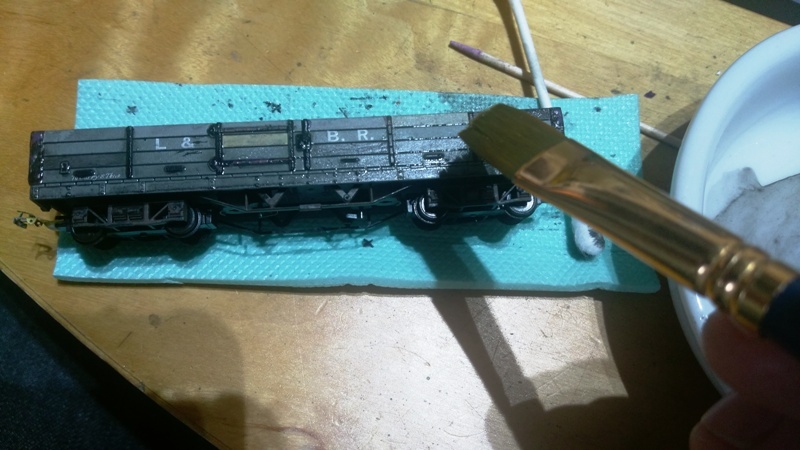 To me thats very impressive what you have done there especially as its an 009 wagon which is quite small to work on. 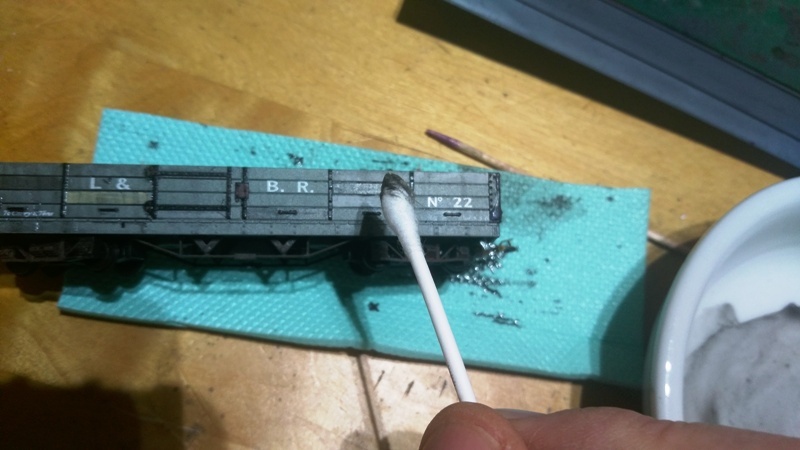 Are you using something to consolidate the weathering powders or just letting them stay on as long as they cling? Thanks Brian I have airbrushed a mat varnish over the powder finish. Very nice. 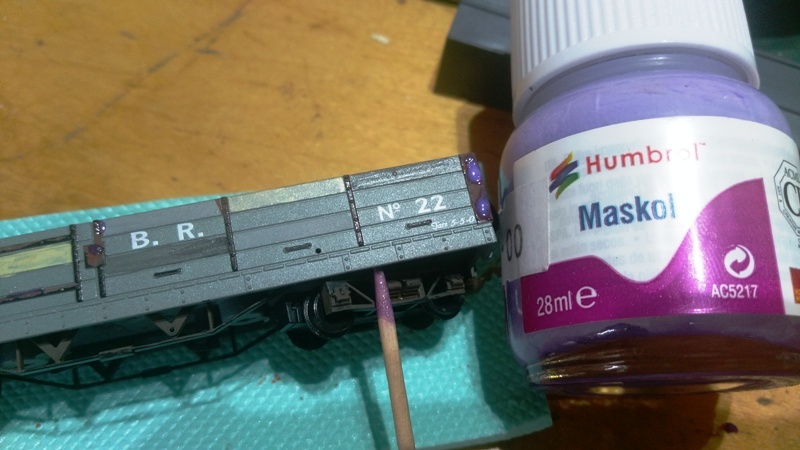 One thing to keep in mind with acrylic paints is that diluting with water dilutes the acrylic as well as the pigment. I think you've done an excellent job. I particularly like the rust on the corner frames. Very impressive Mark. The planking on the floor as well as the outside has come out very well and the rust effect is very subtle. I think your pictures will give us all a bit of inspiration to have a go. I certainly want to get rid of the new wagon look. A very helpful guide - thank you. Looks great too!